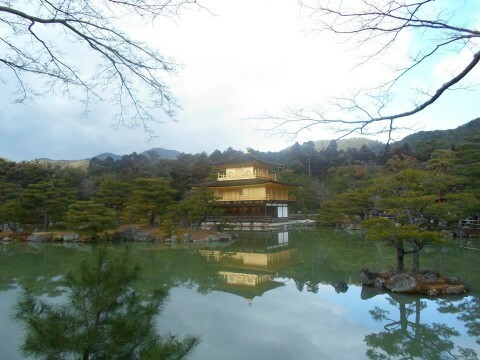 Kinkakuji is one of the iconic places of Kyoto. The top two levels are covered in gold leaf. Actually the original building was burned down in 1950 because of a novice monk. It was later reconstructed in 1955. My friends and I went to this place in the morning and luckily it was not too crowded. We had just gotten off the night bus and dropped off our luggage when we reached this place. All the traveling was worth it once we saw this place. When you get closer to the building you can admire all the details of this Zen temple.